That description accurately depicts what happens to a broken heart. How do I know? Well, I’ve been there, more than once. It is a lonely and often scary place. I am here to tell you it doesn’t have to be. A barricade is defined by Dictionary.com as a defensive barrier hastily constructed, as in a street, to stop an enemy or any barrier that obstructs passage. 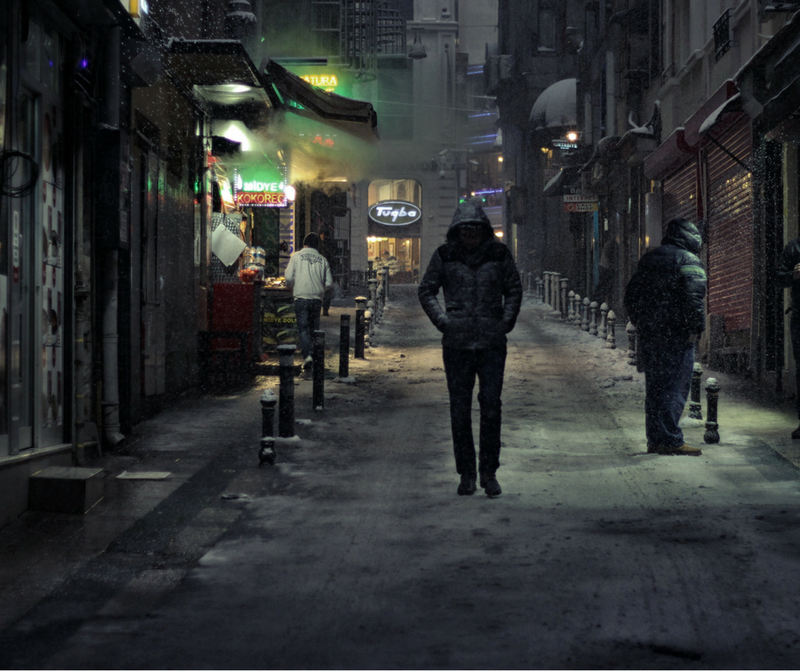 It is something we construct to protect ourselves, but we were never meant to protect ourselves. Jesus came to bind up the broken hearted, not leave them that way. 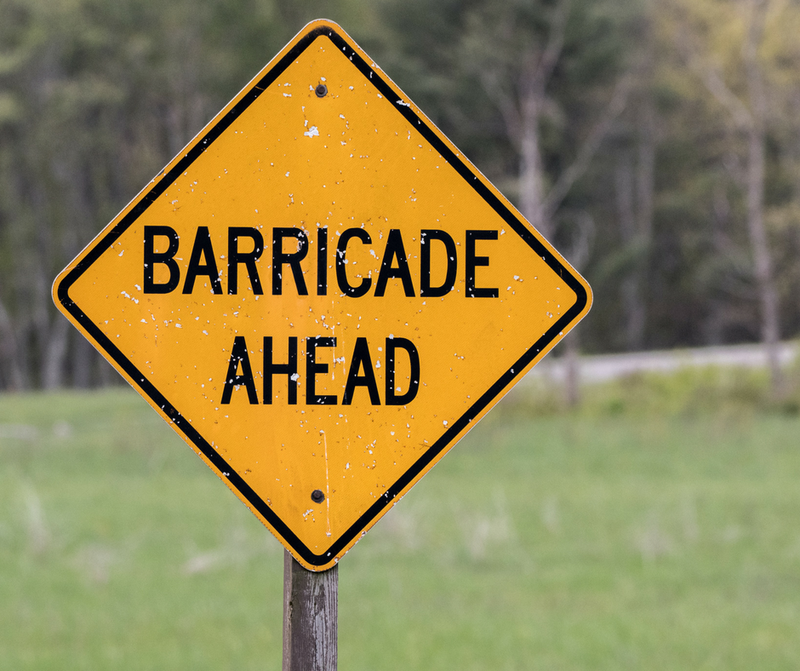 A barricade is our pitiful attempt to fix ourselves or keep a real or imagined enemy away. I know the feeling of wanting to keep it all in because if someone knew they might run the other way, you might want to run the other way. I know the feeling of keeping up appearances, so no one will know the level of pain and destruction you carry in your soul. You aren’t fooling anybody. Broken hearts are like any other broken thing, they leak. it trickles out and sometimes even oozes. We are comforted to know that the Lord is close to the broken hearted and saves those who are crushed in spirit (Psalm 34:18), but He doesn’t want us to stay there. There is a better way. If it is absolutely too terrifying to let a human in, invite Him. Ask Him to come in to the broken, messy places of your heart. Allow Him access to those things you would be horrified to let anyone know was in there. I know, He knows what’s in there, but He wants to be invited. I can tell you something, I only just did this recently and something miraculous happened - He wasn’t surprised and I stopped being so afraid of looking at what was in there myself. That was a huge step for me and can be for you too. We think of broken hearts as a result of a romance gone bad, but it can be a result of so many other things. Church hurts (yes, we break each other’s hearts, even in church). Recently, I read In a Pit with a Lion on a Snowy Day, by Mark Batterson. The book talks about dreams, not as in night-time occurrences, but risks, pursuits and opportunities. It refers to those kind of "dreams" as "lions" because in 2 Samuel 23 Benaiah chased a lion into a pit on a snowy day and killed it, which boosted his credentials, and he went on to be one of David’s mighty men. One night after reading the book I had a dream. I was driving in the neighborhood where I grew up and saw the apartment building where I lived. There was an animal walking in front of the building. As I drove by I realized it was a lion, on the prowl. I drove past and turned around to get a picture, but I sensed the Lord telling me not to take a picture of it, but to kill it. That apartment building was the scene of my first broken heart and the Lord was showing me it was also the place where my dreams died. That was 34 years ago. There is a link to the broken heart and shattered dreams. It is hard to dream with a broken heart, remember what I said about the leaks? I mentioned that my dreams had recently been reawakened and this is all part of it. It started with the healing of my broken heart and gained momentum when I invited Him into the messiness that had become my heart. In my next post, I am going to give you a peek into it too. This is not a sprint, it’s a marathon. We have carried pain for a long time and it takes time and patience to heal it. If you said yes, would you please leave me a comment, so I can pray for you?